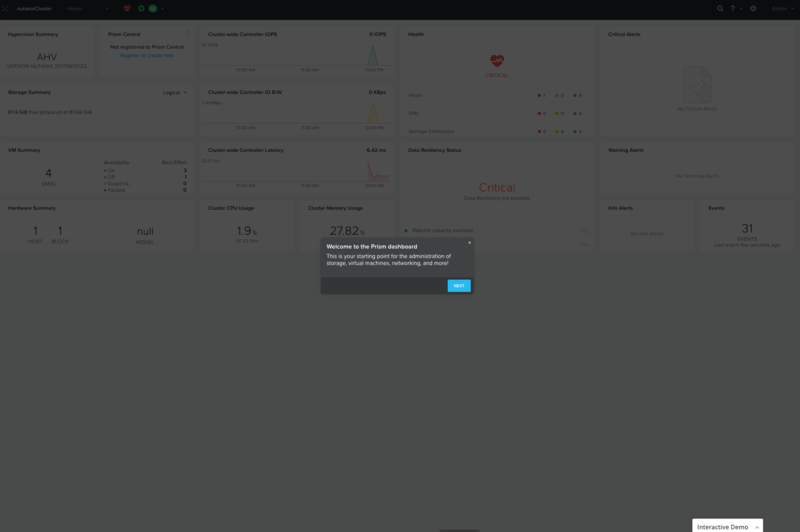 The Nutanix Test Drive environment has been revamped with a new look and feel. Gone is the Community Edition running on Ravello, it now uses the latest version of AOS and runs on GCP. There is also a helpful interactive storyboard that takes you through the Prism UI, which is great if this is your first time with Nutanix.